This image was taken near the summit of Mt Wellington. 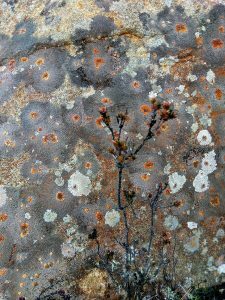 It shows a rock covered with lichen Placopsis ‘flowers’ behind a small mountain (actual) flower. The picture came out rather nice, but when I took it, it was a bit of a throwaway effort.